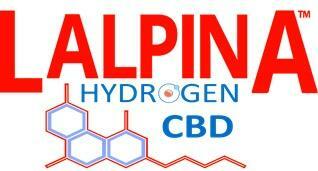 PLAYA VISTA, CA / ACCESSWIRE / November 14, 2018 / American Premium Water Corporation (OTC PINK: HIPH) announces that it's LALPINA CBD beverage will be sold at Come Back Daily (www.comebackdaily.co) in New York, NY. Come Back Daily, located at 381 Broadway, in the TriBeca neighborhood of Manhattan, is New York City's first CBD focused pop up store. This announcement comes after the Company unveiled its wholesale sales strategy that identified the New York market as on its key areas of focus. American Premium CEO and Interim Chairman Ryan Fishoff, who is currently attending the 2018 Marijuana Business Conference & Expo in Las Vegas, NV (MJBIZ) commented "I am really excited that LALPINA CBD will be sold at Come Back Daily pop-up. I live in New York, and the city (New York) has been slow to embrace CBD like other cities (Los Angeles, Miami, Las Vegas) have. This pop-up is a great opportunity to bring exposure to the benefits of CBD and LALPINA CBD to the world's largest media market. In my opinion, CBD is very nascent in New York and no brand has established presence or marketing. Having LALPINA CBD at this pop up will be the Company's first step to own a large share of the New York market. This is the first of many retail promotions that the Company has planned for New York. I know how effective pop-ups can be from my experience in the retail space; I've highlighted the need for the Company to do more pop ups . Urban markets, specifically New York and the other markets outlined in our growth strategy, are tailor-made for pop ups which provide great sales and promotional opportunities for the brand." Come Back Daily will open with a special preview event on November 15th and then be open to the public on November 19th. The store, which will focus on the lifestyle and education on the benefits of CBD products does not have a definitive closing date and will be remain open at least through the beginning of 2019. The store's goal is to create a different kind of space from the traditional dispensary model. In addition to sampling, testing, and selling CBD product, Come Back Daily will host educational sessions about CBD hosted by doctors and other health professionals. "I am sorry that I will be missing the opening event on Thursday night, as I will still be in Las Vegas attending the MJBIZ conference. Pop-ups are only a part of the Company's wholesale strategy. Working with distributors and wholesale channels are also a important part of the strategy. I've already had some great talks with some distributors and look forward to meeting many other potential retail partners in the coming days. This is an exciting time for the brand and the Company as it looks to adding distribution channels across all spectrums. Our focus on the country's largest and most visible markets will separate us from our competitors in the short and long term driving a sales growth that is very scalable due to the population density of the targeted markets. I look forward to updating the shareholders and investment community after the conference about the progress the Company has made after the conference." concluded Mr. Fishoff. American Premium Water (HIPH) is a diversified luxury consumer products company focused on businesses in the health and beauty and biotech sectors. The company is focused on harnessing the powers of hydrogen and Nano technologies paired with cannabidiol (CBD) to treat health disorders and enhance quality of life. This business model aims to market emerging fashion brands by leveraging classic retail partners and incorporating disruptive block chain technologies to expand the retail footprint. The company's portfolio includes the LALPINA Hydro and LALPINA Hydro CBD brands (www.LalpinaInc.com), Gents, Worthy, and blockchain platform FashionCoinX (www.FashionCoinX.com).